Feel like your home is a constant mess? I've got a free cleaning schedule printable with Daily, Weekly, and Monthly chores on the blog today! I've learned the hard way that chores just don't get done in our home unless they are on some sort of schedule or to-do list. My husband and I anticipate incredibly busy work schedules throughout 2016 and I'm worried the house will be neglected if I don't plan ahead. I can quickly clean a kitchen but it's the rest of the house that may be forgotten. This New Year felt like the perfect opportunity to print out my personal tried and true cleaning system! When we're together as a family, we try to spend as much time hanging out and bonding as possible. If I know the laundry will be done on a certain day, I relax and spend any spare time I have with my family. This is why I only include Monday-Friday on the printable. Also, this schedule is strictly for interior cleaning so you'll need to add on to it if you want to include the exterior of your home. I know this schedule won't work for everyone but it works great for our family and household needs. Want to print a copy? Just click the photo or this link and your download will automatically begin. Woo-hoo! What's on your cleaning schedule? Having friends and family over for the holidays can be both an exciting and stressful experience. I love having guests but I certainly wasn't born a natural hostess. Taking care of additional people requires a little bit of footwork (if you want them to come back, that is). I've welcomed a lot of people in my home in the past couple of years and have worked my way through plenty of mistakes and uh-oh moments. I've run out of toiletries, burned a meal, and been short on pillows. It's a good thing I'm a fast learner! 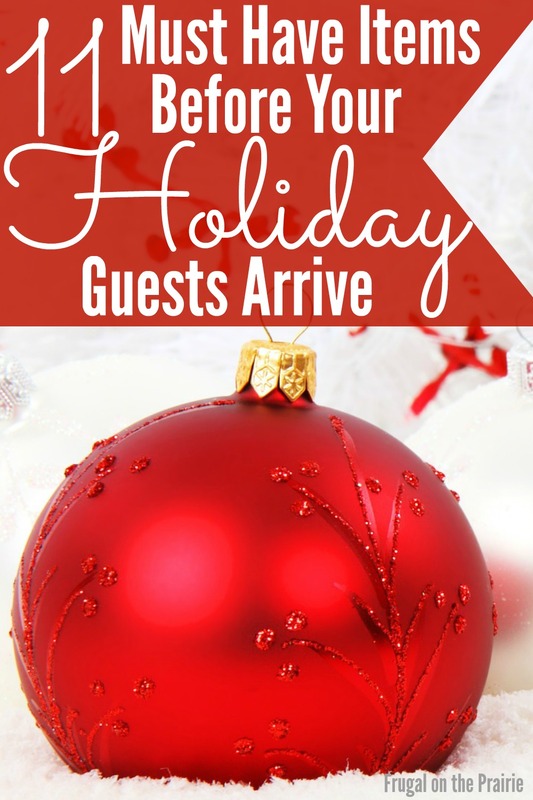 Here's a list of must have items before your holiday guests arrive. Please keep at least one box of Kleenex or any other off brand facial tissue in your home. A relative of mine never buys it and only offers her guests paper towels. As a guest, it's a little uncomfortable to say the least. Decorated tubs, like these adorable Kleenex Perfect Fit Holiday Canisters, keep your home looking festive. I keep one at every end table and in the vehicles' cup holders so we're never short on tissues! This is embarrassing to list but oh-so essential if you're having guests over. I once had a guest suffering from allergies who refused to use any of the Kleenex I owned and insisted on using tp only. Another time, a guest didn't care for the brand I had on hand and insisted I go out and buy another. Sure, these requests were a little odd to receive but we all want our visitors to be comfortable and happy. Prepare for the unexpected (and awkward!) and keep two different brands on hand, such as Cottonelle and Scott. Spills and sticky surfaces are going to happen, even if you don't have little kids staying with you. Guests naturally gravitate towards a paper towel to wipe up a mess instead of grabbing your holiday towels on display. Viva paper towels are my favorite right now because they're super strong and can wipe up any amount of wine I've accidentally spilled. I try to mask the Clorox wipes and microwaved leftovers smell that usually graces our living area. I'm personally burning plenty of sugar cookie and other holiday candles right now. Walmart has some awesome Better Homes and Gardens candles that are less than $5. I've been using them for months now and have no complaints! You know when you are a guest and your host says, "Raid the fridge at any hour! Help yourself!" (I love these people, by the way.) It's great to hear but how many of us actually sneak into the kitchen because we want a sandwich at midnight? I keep a cute basket of snacks out on display so that my guests stay full without having to check in with me. I also keep a lot of easy recipes on hand so I can spend more time with my guests and less time slaving in the kitchen. 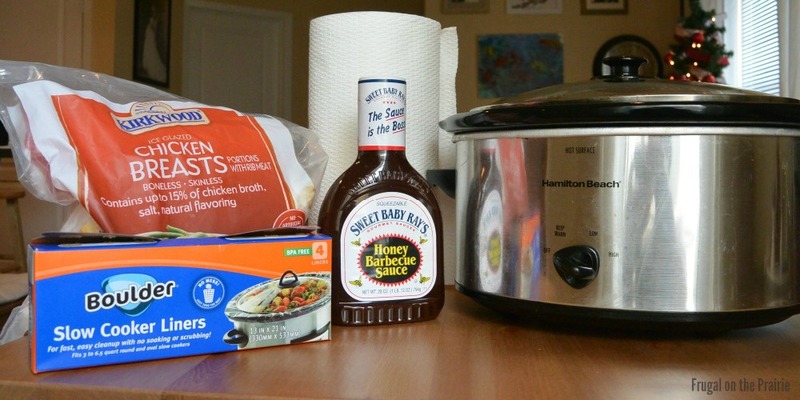 Remember these 2 Ingredient BBQ Chicken Sandwiches? Easy and worry free! Does this really need a description? Hosting is always much easier when I have a glass of wine in my hand. If you have non-drinkers on your guest list, keep hot chocolate, apple cider, and other specialty drinks instead. And while you're shopping in the food department, pick up a bag of ice. We all know that an ice cube tray only lasts for 3.42 seconds when you have people over. I once had a guest come down with the flu at my home during the holidays. It was terrible for both of us, trust me. Thankfully, I had plenty of disinfectant supplies like spray and wipes. I think I've said enough. Be sure to stock up on extra pillows and blankets if you're having more people over than your guest room can handle. We had littles camping out on the floor once and completely forgot to buy extra pillows. Thankfully, I'm addicted to buying decorative couch pillows so we had plenty of those. Kids are so forgiving but I felt so terrible! The last thing your guests want is to be stuck in the shower only to realize there's no shampoo or soap! My family and I travel a lot throughout the year and we always have some partially used shampoo or body wash bottles laying around. I hate to see things go to waste so I place them in a pretty, clear vase in the guest bathroom. Maybe the guests you're having are friends you've known for a decade or perhaps it's your new sister-in-law that you've only met once before. Either way, have some backup entertainment like board games and movies, just in case the conversation dies down. Last, but not least are the fresh flowers. They brighten up a room and say, "Look at your host! Isn't she so pulled together and organized?" Your guests will never know the bouquet was only $4.95 at your local Walmart or that you threw them in a vase 5 minutes before everyone arrived. Whatever you do, don't panic about having people over. Nine times out of ten your guests will be understanding and gracious, regardless of what happens. Just relax and have a good time! This post contains an affiliate link. Please read my Disclaimer for more information. I'm one of those people. I pull out our Christmas tree before we carve the turkey on Thanksgiving. And my husband basically hides the Thanksgiving wreath because I will hang it up before Halloween if he doesn't. I LOVE THE HOLIDAY SEASON! But as I've transitioned from my carefree college days and into my adulthood, I have found the holidays to become a bit stressful. There's the budget to worry about, the gatherings to attend, the presents to buy, the family traditions I don't want to forget, and all of the normal to-do lists to juggle as well. The fact that I'm so easily swept away in the season has really started to overwhelm me. I want to turn things around and spend this year with mindfulness and purpose so my sanity doesn't get lost in that holiday madness. My good friend Christina from Embracing Simple has created a mini-course that can help people do just that. Savor the Holidays Mini Course is the easiest 21-day course you will take! You want to be more intentional about how your time is spent during the holidays"
The opportunity for you to invite a friend to participate in the course as well – for FREE! Dates: The course runs from November 27-December 17. Cost: $7.50 until November 16, then it will raise to $9.50. Both prices include the opportunity to invite a friend to join the course for FREE! This course is such a steal at under $10. I know I need a gentle reminder to spend my holidays more purposefully. What better way than by reading quick e-mails that contain easy steps I can follow? I hope you'll join me this year by slowing down and enjoying the holiday season! Lattes and scarves and boots, oh my! The fall season is finally upon us and so is the pressure to take our decorating game to the next level. But somewhere in between the excitement and our budget, we may feel a little overwhelmed. So I've pulled together these tips for fall decorating ideas on a budget. Enjoy! The obvious overhead theme is Halloween or Thanksgiving. But thanks to the invention of Pinterest, a lot of us are now educated in the themes of country chic, rustic, classic, glamorous, and many more. Depending on what you already have on hand, you may feel pressured to go out and spend a lot of money. Don't do this to yourself. Go through all of your current decorations and work around that. It may not look Pinterest perfect, but if it suits your family and budget then you're doing everything right. There is no rule that says you need to decorate every room in the house, or even more than one room for that matter! For example, we decorate our front door/entry and living room only. That means we avoid spending money on holiday towels or extra knick knacks for the bedrooms. In a lot of cases, less is more. If you feel like you need to "fill in the space" somewhere, step back and see if you can just spread out all of the items you currently have. You run the risk of looking cluttered if you go overboard on the decor. It is so tempting to pick up new decorations each year because the adorable holiday displays are almost too much to resist. But if I can leave Hobby Lobby without spending a dime then so can you! For example, we have been using the same ornaments for the last 7 years. In fact, we're still showing off that Bart Simpson ornament from my husband's high school days. What says Thanksgiving more than a pile of apples, oranges, or a pumpkin? I find the cheeriest, reddest apples at our grocery store and place them in my glass fruit bowl. Then I'll top them with either oranges, cinnamon sticks, or both. Pine cones and branches are just some of nature's prettiest ornaments in the fall. You can have your kiddos gather as many pine cones as they can and fill them in $1 vases from the Dollar Tree. Just don't forget to check for bugs! You just can't beat a good Dollar Store deal like mini candles, candle holders, and mini fall signs. I also love to grab all of my decorative rocks, vases, and floral foam here as well. Nothing says fall more than thick, cozy blankets and pillows. You probably have a few of these around the house already. Move them to the areas you're focused on decorating (like the living room) so your family and guests have easy access. There's a lot of temptation to turn your home into a miniature pumpkin house tour, but don't give into it. The investment in those items will only get you through the next couple of months. All of that expensive decor will just collect dust for the rest of the year. You can have a beautifully decorated home on a budget and all ready for the fall season! How do you save money on fall decor? This post contains affiliates. Please read my Disclaimer for more information. My son loves crayons and also loves to help with the laundry. I'm sure you know exactly where this story is going. I don't know when he placed the crayons in the dryer but his timing unfortunately coincided with a full load of Mom and Dad's stuff. To make matters worse, the clothes were mostly whites and light colors. Oh, and did I mention how much he loves the color RED thanks to Daniel Tiger and Elmo? It looked like a Crayola crime scene when I opened the dryer. I will forgive my sweet boy because, really, there's nothing to forgive. He thought he was helping Mom with her chores. How can I resist his innocent, cheerful attitude? But I still wasn't sure how I was going to get the stains out! I mixed a witch's concoction of cleaning and laundry supplies and it seemed to do the trick. 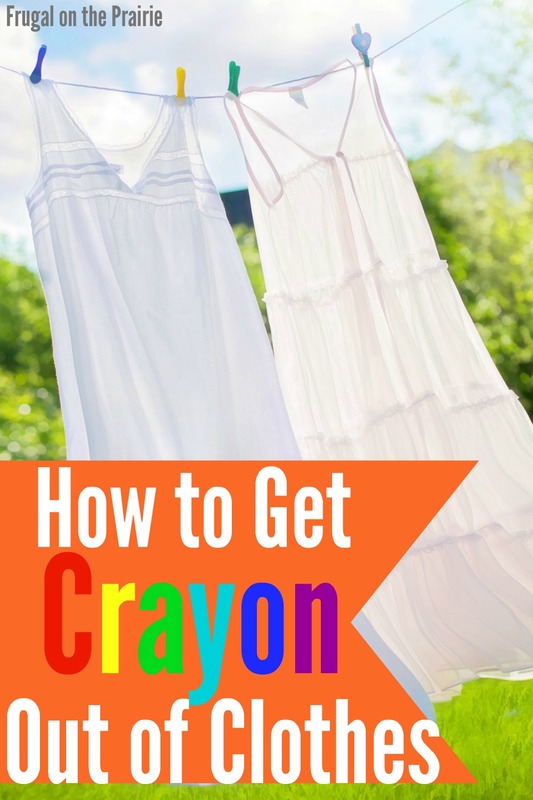 Here's how to get crayon out of clothes. Scrape away as much crayon as possible, being careful not to smear the melted wax if the clothes are still warm from the dryer. Spot treat the stains with dish liquid or spot treatment. While your treatment is soaking, remove all crayons from your dryer and wipe away residue with a Mr. Clean Magic Eraser. Run washer on the hottest water setting so the crayons remelt off of the clothing. Insert 1 cup 20 Mule Team Borax, 1 cup All Ultra Oxi Laundry Detergent, and 1 cup Oxicleanpowder. Add the clothing once the powders have dissolved. Let the load soak for 30 minutes-1 hour. Check for stains. Repeat as necessary. Only dry your clothing once you are satisfied that all of the stains have been removed. I was successful using this method but only after learning a few lessons. First, the crayon stains in the dryer are easier to clean up before they cool and harden. Scraping them off may cause damage so I recommend wiping everything down ASAP. If you can, have one person spot treat the clothes while another cleans the dryer at the same time. Second, you must wash everything in the hottest water possible. Unfortunately for me, I had some delicates in this load and made the mistake of running the washer on the Warm setting first. The stains did not comeout and I had to re-wash them again. If you have a smiling, helpful toddler then you may run into this problem like I did. Learn from my mistake and willingly accept their help, but hide all of the crayons on a high shelf. Good luck! Have you ever found crayons in the dryer? How did you get them out? There are yesterday's dirty dishes in the sink, crayons scattered all over the living room floor, and I'm still in my pajamas. Oh, and I'm not really in the mood to clean anything either. You've been there too, right? I have so many things on my to-do list and all of them are regular chores that I shouldn't be neglecting. No one's breathing down my neck but I'm still feeling frazzled and overwhelmed. My son just went down for a nap so that means I have less than an hour and a half to get my house and my sanity pulled together. Here's how I go from stressed to happy in 5 easy steps. It's all psychology when we talk about brightening our home. If your working space is dark and gloomy, you're more likely to slow down or fizzle out of energy. 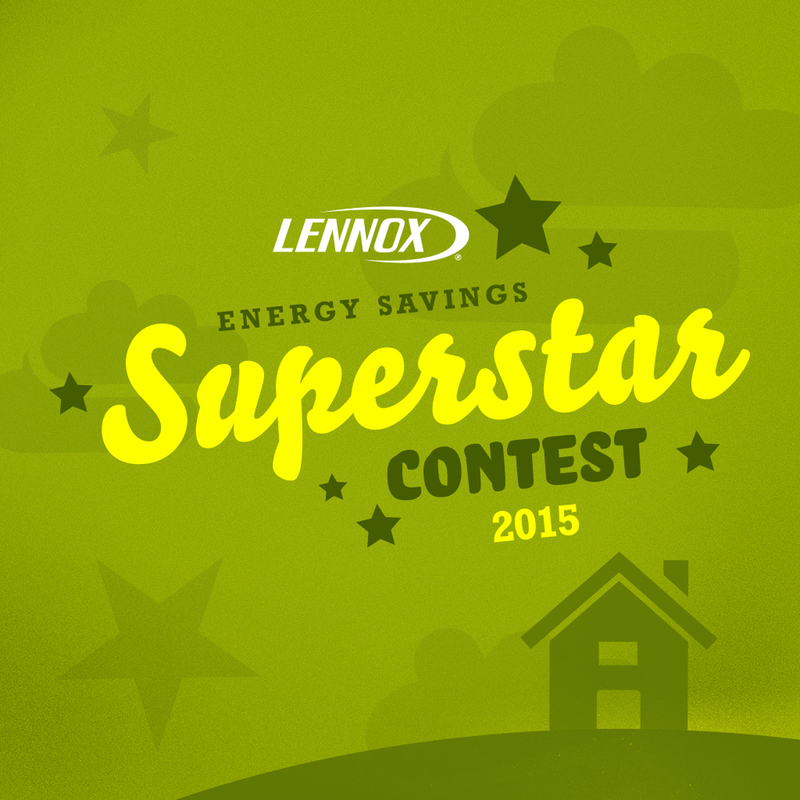 Put a little pep in your step by placing some extra light in your life. Turn the lights on and throw open the shades. Brighten your area so you have a renewed sense of perspective and can see where you're walking. Avoiding Legos will save your poor feet and you'll be more likely to feel like can take on the world. I have missed doctors appointments and playdates by not paying attention to my schedule. Sometimes it isn't enough to check it the night before. Personally, I have to comb through it each morning or I will definitely forget what appointments I have that day. My friend Emily over at My Love for Words is offering a FREE CALENDAR PRINTABLE if you subscribe to her newsletter. I'm currently using it myself and am in love because it provides a nice Notes section that I can use for all those little reminders that don't fit in the date boxes. You're missing out on some good stuff if you don't hop on over there right now! Oh lists. You lovable, wonderful tools of organization! If you've read more than one of my posts then you already know that I have a special relationship with lists. The reason behind this is that I love clarity. It provides you with the visual direction you need to make sure things get accomplished. Tip: I'm a huge fan of this list-making method: Make your to-do list, then write either A, B, or C next to each item. A means this task must be completed ASAP, B means this task is important but not urgent, and C means you would like to get it done but it doesn't really matter if you don't. Then, take your organization a step further by listing your items in order of importance such as A1, A2, A3, and so on. You would be right in thinking that this sounds like the opposite of getting work done. But I've found that the fastest way to get things accomplished is to make sure you're feeling your best. Give yourself a 5 minute break. Go to your room, shut the door, and allow yourself the freedom to be alone. Sometimes we just need to give ourselves permission to rejuvenate. Afterwards, make yourself a cup of tea/coffee and take the time to get out of those pajamas and into a fresh set of clothes. Personally, I even go so far as to put on a little mascara. If I feel pulled together, then I'm more likely to hustle through my work. Sometimes the stuff that's stressing us out isn't even that important at all. Are you frazzled because you've over-scheduled your day with power cleaning, making meals, and spending time with the family? What's most important? Take the time to identify what tasks are no longer necessary. I used to stress about making multiple playdates each week, working for my clients, keeping the home clean, and fitting in quality family time. I had to tell myself it was okay to let go and say no to additional clients or multiple playdates. Family comes first. Everything after that is optional. It's easy to get overwhelmed but it's just as easy to turn things around and find your inner calm. Following these 5 easy steps so you can catch your breath and get things done. How do you control the chaos in your home? Looking for the best ways to decorate your home on a budget? I have a lot of experience in that category! We've lived in three rental properties since my husband and I got married. Each time I've wanted to try out a different look in our new place (we're still figuring out "our style") but my budget has always kept me in check. I can't afford to completely redesign each new place! 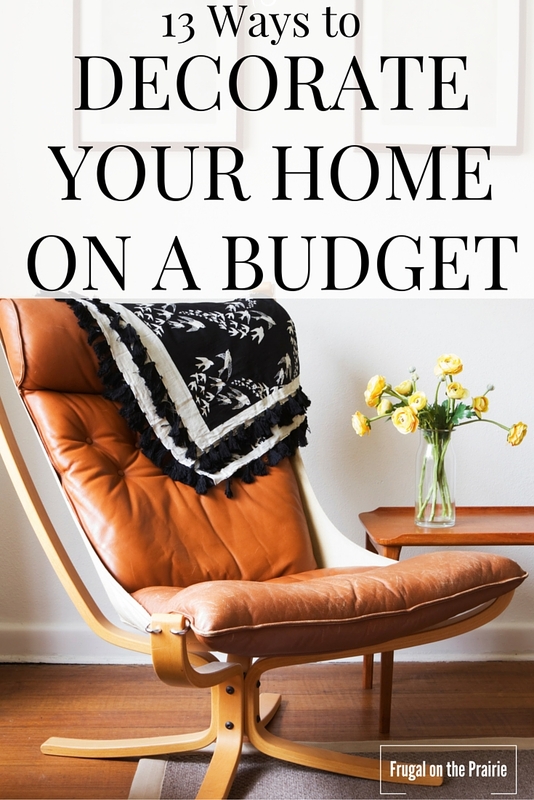 Here are my best ways to decorate your home on a budget. 1. Pull out what you have. Repurpose old furniture by cleaning, sanding, and painting any wood pieces or throwing sofa covers over old sofas. If you feel like you're sick of something and just want to throw it out, give yourself a few days before you decide. The biggest mistake I made in college was thinking that I had to buy brand new stuff and get rid of all of my old furniture. It was a huge waste! Now I'm not saying you should become a packrat. Ew! Just try to repurpose the items you already own and if you can't, throw them out. Paint your favorite color on an accent wall or even in an entire room. Our favorite shades can really cheer us up and turn a bad day into a good one. While I'm fond of going bold it's wise to paint swatches on a well-lit wall before you commit to a particular color. Paint is cheap but the effort it takes to paint over a red or a dark blue is not worth the headache. 3. Shop at thrift stores, Craigslist, flea markets, and the Dollar Store. You don't need to spend full price on brand new merchandise to give your home a facelift. I found a beautiful coffee table once in mint condition for $20 at Goodwill . After a good scrubbing it was as good as new. These stores are also great for picking up knick knacks and miscellaneous decor. All of my flower vases have come from the Dollar Store or Goodwill. 4. Ask for Grandma's old stuff. Does your Grandmother have a garage full of stuff she no longer wants but hasn't gotten around to throwing out? Try not to be a moocher but if she or anyone else has a donation pile, offer to drop everything off in exchange for first pick at any items. You'll be doing a good deed while getting a opportunity to buy decor at a discount. 5. Arrange colorful pillows and throws. Pillows and small throws are cheap and easy to rotate throughout the seasons. Purchase the cushion alone at stores like Ikea and then add in some bold patterns and textures in the actual covers. In fact, if you're looking for anything in the textiles department at a cheap price, Ikea is the first place to stop. If you have access to free shipping on Amazon, HOSL is a seller on there and they also have a cute selection of cheap covers too. Their black bear in a red hat and three colorful feathers pillowcases are my favorites and they are cheap! 6. Family art and prints. Let your kids do the fancy artwork for you or even do some yourself. I filled a Pinterest board with DIY projects, a lot of them being canvas-type. We bought a pack of canvases with a 40% off coupon from Hobby Lobby. Then we grabbed all the acrylics around the house, placed a old giant sheet on the ground, and painted away. I loved how this DIY Family Handprint Tutorial turn out so much that hung it where everyone can see. We get compliments on it all the time and is really precious to us. Are you handy with the sewing machine? There are handy tutorials from Pinterest or free books from the library where you can find some interesting ideas. Try a simple pillow tutorial if you're just starting out. They are surprisingly easy. Trust me, if I can do it anybody can do it! 8. Show off your family photos. The first item that turns a house into a home is the family photo you proudly put on display. Does it really even feel like your space if you can't easily see pictures of the people you love? Start with a collage wall or a blown up version of your favorite shot. You can use either option to fill up those boring blank spaces in the hallway or living room. And hey, it doesn't have to be expensive. This photo display is less than $20 (as of February 2016) and is adorable! 9. Warm the room up with some candles. Even if they're not lit, candles give the impression of a room that is warm and cozy. In fact, I never actually light ours because of our son running around. I've had the same Dollar Store candles sitting on our mantle for a couple of years. But I like the perception that the room is just a bit cozier. 10. Color coordinate your book collection. So you have a lot of books scattered around the house and in no particular order? 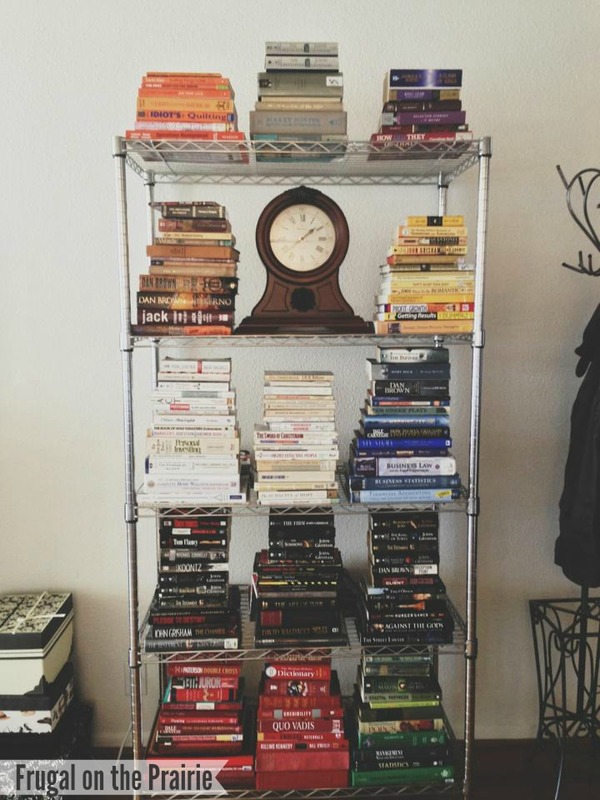 Bring out your creative side by color coordinating your own little library. 11. Add some pretty mirrors all around the house. I know what you're thinking if you have young children or pets. "I can't have breakables in my house, Allison!" But yes, you can. They just need to be hanging high on the walls. Reflection throughout the home will make the space appear larger. It's also awesome for filling up those blank spaces you don't have any art for. Add some extra personality to your home by choosing pieces with additional textures or patterns. You can even DIY the project by buying an old mirror from a thrift store and painting the frame. I personally like these from Amazon. The shabby chic mirror is girly enough for me without making my husband cringe, and this entry way mirror is nifty with it's extra storage features. 12. Change outdated fixtures and hardware on cabinetry. Set a budget for yourself and head to the local hardware store. Changing out the handles on kitchen cabinets or a light fixture in the bedroom is one of the quickest ways to update a home. You can spend all the money in the world on furniture and accessories but if there's a dome light from 1985 in your living room, it'll still look outdated. 13. Paint your dated cabinets and crown molding. We painted the horrible blue (yes, blue) crown molding in my parents house years ago and the change was dramatic! It brought the room back into the 21st century with just a can of primer and white paint. There's a lot of sweat that goes into updating crown molding. But if you're willing to put in the elbow grease you'll be pleased with the results. Try to repurpose the items you already have if you want to redecorate your home. Just moving the furniture around and throwing on a new softcover will make you feel like you've spent $1,000. And if you find that your junk is really...well...just junk, then head out shopping with a list and a budget so you can keep control of how much you spend. It does not have to cost a penny more than you want to spend to get a good looking room makeover. How do you decorate your home on a budget? *This post may contain affiliate links. Please read my Disclaimer for more details. This kind of cheap family craft is right up my alley because its easy and can be hung in a place where everyone can enjoy it. I love the idea of being able to see his tiny handprint years from now when he's big enough to carry ME around. We are sentimental fools when it comes to our son. We show his art work around the house like he's the next Leonardo da Vinci. We keep the tickets from his first sports games. And we especially ooh and aah over everything he does, even if it's kind of silly, "Look at those toes! The way he bends them is so cute!" As you can see, he put up a fight with his handprint but it was so worth it. You will love having one of your own in your living room! And if you're looking for more great activities, be sure to check out this awesome list of things to do if you're on a Spending Freeze. Here are the materials you need. Paint the darkest color using the foam brush on Dad's hand. Be sure to put on a thick layer and reach all of the crevices and lines. This will help give you a defined handprint. We used Craft Smart's acrylic paint in Denim. Let it dry for about 10 minutes and rinse your foam brush in the meantime. Squeeze out excess water with a paper towel. Repeat Step 1 for Mom and baby. We used Craft Smart's acrylic paints again, this time in Lavender and Robin Egg's Blue. Be prepared with your little one by laying out an old sheet or taking the project outside. By the time we were finished we had paint all over our clothes because he was really squirmy! Hang the family art in your favorite place and get teary every time you realize how fast your baby is growing! I look at our handprints every single day and am amazed at how fast my son is growing. I really regret waiting until he was almost 7 months old to do the project. Do your own painting sooner rather than later so you can enjoy an especially small handprint! What is your favorite DIY family project?